White Sunday 2018 will be one to remember for eight families, whose struggles were reported this year in the Village Voice pages of the Samoa Observer. Local companies Betham Brothers Enterprises, Trans Pacific Travel, Budget Car Rentals and Tanoa Samoa united and handed over food and $600 cash recently to the families, who live in different parts of Upolu. The eight families were chosen by this newspaper while the four companies raised funds in order to sponsor the initiative. 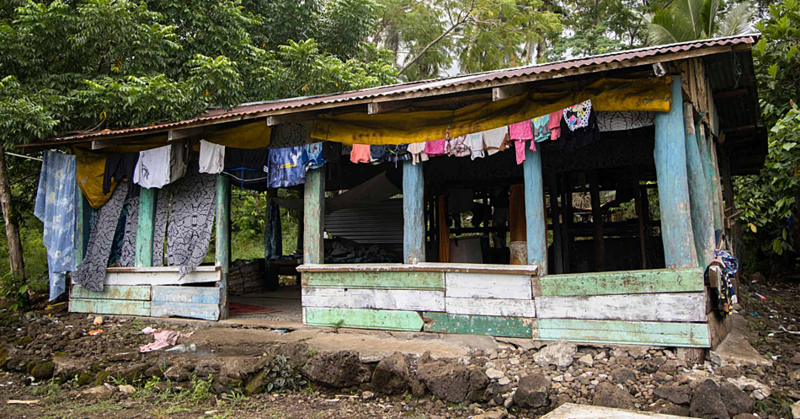 Village Voice is published in the Sunday Samoan edition of the newspaper and focuses on poverty-stricken families. This year the donation by Betham Brothers Enterprises totaled $8000 with $3200 spent on food and $4800 in hard cash given to the families. Betham Brothers Enterprises office supervisor, Ruta Williams, said the donation was made possible with the money raised during the companies’ fundraising games last Saturday. “We had a walkathon and there are 41 of us in our fundraising committee. Each of us had a walkathon sheet worth $100, so from that walkathon we managed to raise $4100 and our company double that amount, which made up the $8000,” she said. The funds raised were initially allocated to office expenses but after further discussions amongst staff members, they decided to give the money to families in need of financial assistance. “These funds were initially allocated for office purposes. However, after further elaborations and discussions, we’ve opted to donate this money for families who need the financial assistance. For this White Sunday, we want your children to feel and have what we provide for our own children,” added Ruta. Flora Ieremia of Alamagoto, whose story was published on August 19 this year, was the first family to receive these blessings. She was in tears when the good Samaritans visited her home yesterday morning and told Samoa Observer the $600 in cash will help her family pay the water bill. “My kids were asking me after the team had left why the people came and bring us food and money. I explained to them and my eldest daughter cried. “The look on my children’s faces when the people brought in food and gave me money was just priceless because I could see they were happy. “I was happy and I cried because who would think that there are people out there who are reading our stories and actually care,” she said. Flora acknowledged the four companies, who were able to make her children’s White Sunday one to remember. “I have nothing to give except my heartfelt thank you to Betham Brothers, Tanoa Samoa, Budget Rentals and Trans Pacific Travels for all of this. May the good Lord bless you and the work that you do,” she added and also acknowledged the support of the Village Voice pages. Telling strangers your personal challenges as a family can be daunting, and not to mention embarrassing for a Samoan mother. But caring for a special needs child compelled Ne’etia Fa’aeteete of Tapatapaō to cross that bridge, when she told her story to the Village Voice team and had her story published on January 5, 2018. “This is such a huge help for all of us especially my special need daughter. When we first approached by the Village Voice, I was kind of embarrassed to tell my story and the struggle that we face, most especially asking for help from people. “But my daughter, who has special need was what gave me the courage to speak up, because life is really difficult when there is a special need child that we have to care for,” she said. She shed tears of joy yesterday, when she was presented with food and cash by the four companies’ representatives. 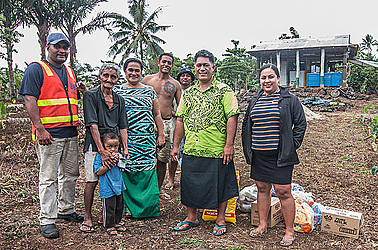 Tuaoi Savavau of Samatau had only moved into the area and lived in a shack that lacked the basic amenities when the Village Voice team visited him last month. He was living with his daughter, her husband and their three children and they relied on their plantation and the sea to make a living. Tuaoi was a happy man when the business representatives and the Samoa Observer got to his home to present the food and the cash. “Today is a good day and the Lord has been definitely watching over us and listening to our prayers every night. This is more than we could have ever ask for and who would think that we will be able to get $600 in cash and food. “When we were featured in the Samoa Observer programme we were asking for any assistant we could het especially in terms of water tanks. But today we received more than we had ask for even though it’s not a water tank but it’s what we actually need in our daily lives. “So thank you so much Betham Brothers and the other companies for these great gifts. 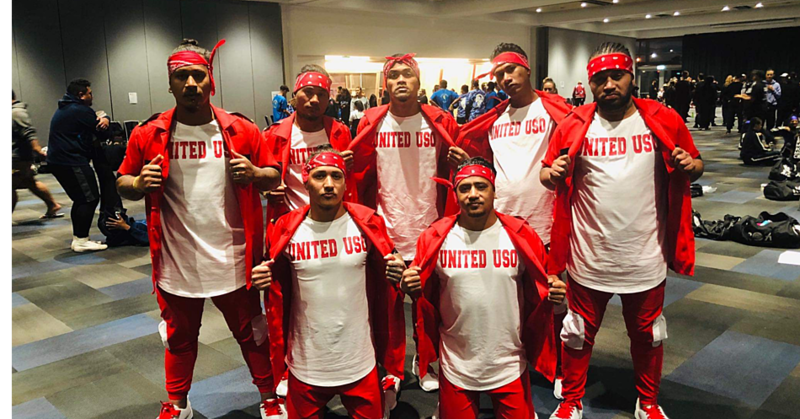 Thank you for going out of your way to raise money to help families like us we are forever grateful and I pray to the almighty God to bless you in all that you do so that you will be able to help the people of Samoa who are in need of help,” he said yesterday. Nothing had changed much with Toma Tuilata, a father of two from Leauva’a, when representatives of Betham Brothers Enterprises, Trans Pacific Travel, Budget Car Rentals and Tanoa Samoa arrived at his home. When the Village Voice team visited his home yesterday, he was not home as he had gone to sell bananas to get boat fares for his family, who wanted to travel to Savai’i to spend White Sunday. But his wife Tina was at home and she was elated at the sight of the good Samaritans. 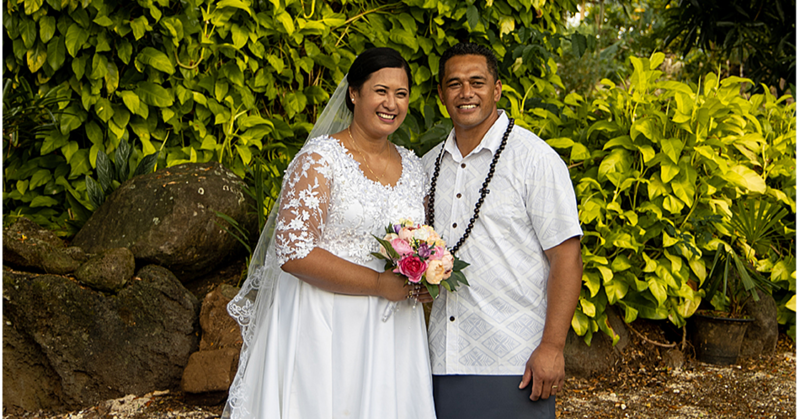 “My husband is not here, he went to sell bananas to get some money so that my children and I will be able to go to Savai’i, to spend white Sunday there with my parents. “Words cannot explain how I feel right now but the only words I can say is thank you very much from the bottom of my heart. The food and the money and everything and I believe God really provides for us and he has sent you to our family at the right time. All the four families acknowledge the Village Voice initiative by the Samoa Observer to tell Samoa and the world of their struggles. The other four families will be featured in tomorrow’s edition of this newspaper.